This is one of those stalker-like posts, but with a purely good reason. 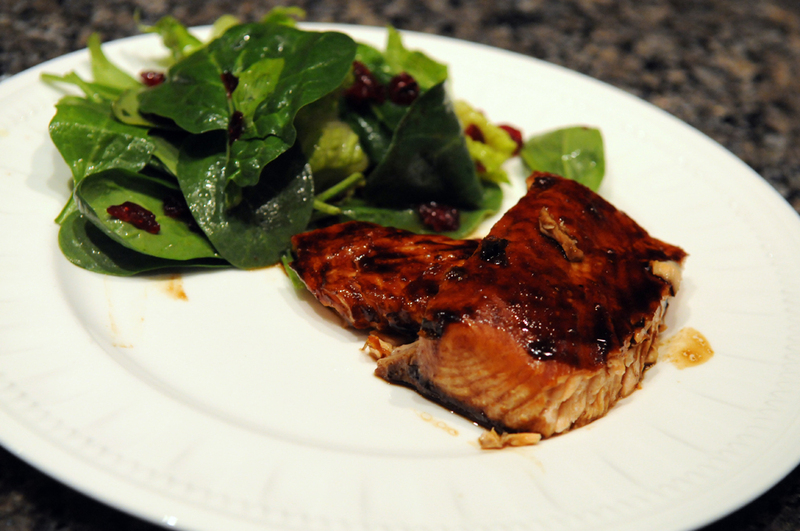 This month Tried and Tasted is scouring recipes at Closet Cooking! Before I started my own blog, I was a loyal follower of Closet Cooking. Kevin, who also hails from Toronto, cooks with very creative ingredients and always has tasty posts. I have always wanted to take a peak into his “closet kitchen” to see his cupboards, as he whips up such imaginative meals… and how does he manage to eat all this food (he has almost daily posts!)?? 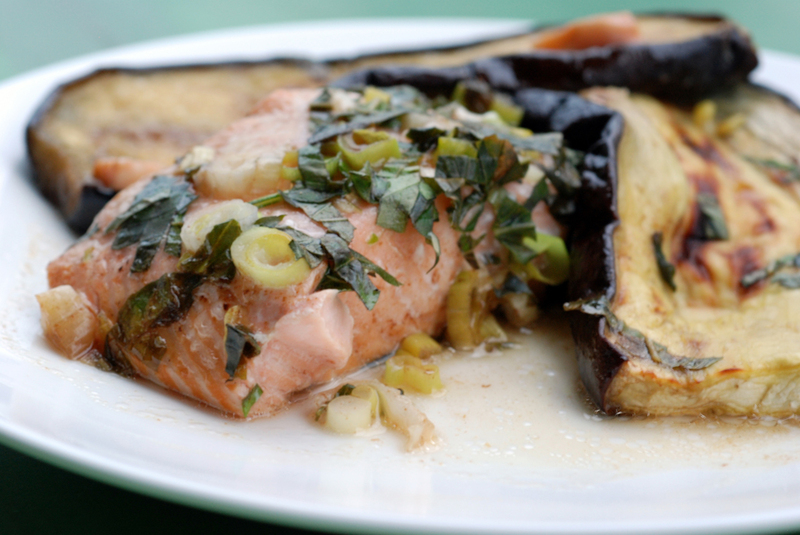 Furthermore, he shares a similar love of Japanese cuisine, so there is no shortage of inspirational recipes, including tons of fish recipes that look both tasty and easy, including Maple Salmon, Misoyaki Salmon, and Broiled Halibut with Orange and Miso Glaze. 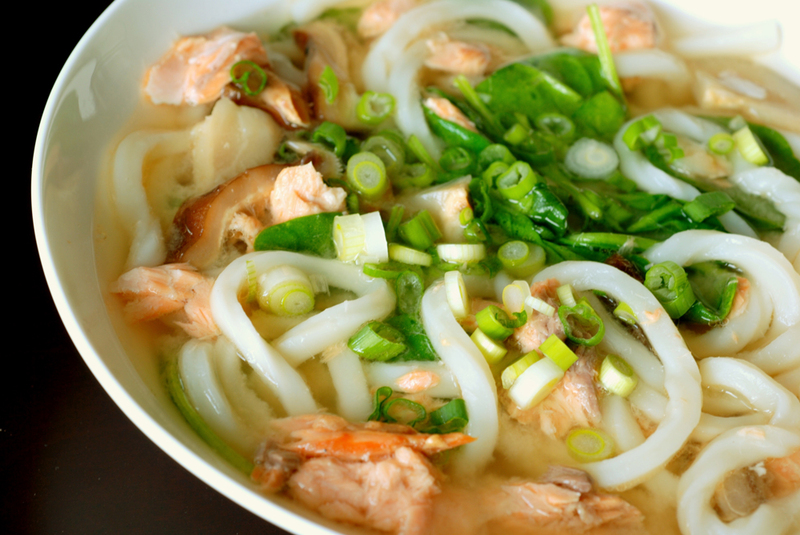 I love how Kevin includes alternative recipes when he is faced with left-overs, so with my leftover salmon teriyaki, I thought his Salmon Noodle Soup (which I rechristened Salmon Teriyaki Miso Soup with Udon and Spinach) would be perfect. 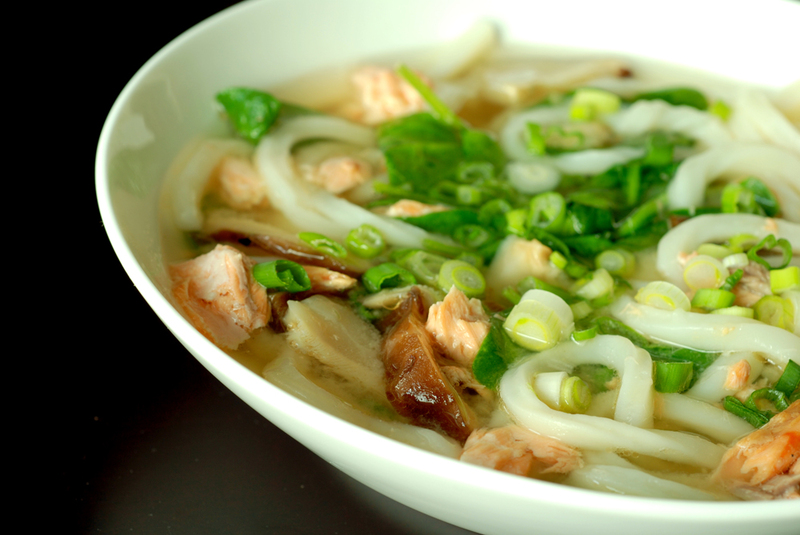 Dashi – Dashi is the traditional soup stock of Japan, in both vegetarian and fish options. I have made it homemade, but sometimes I find it easier to use powder (Ajinomoto makes a good dashi). It is a fairly common brand and should be found at most Asian markets, including PAT and T&T. Miso – Miso is a salty paste made from fermented soybeans (also rice or barley). Miso soups are fairly common and easy to make but miso can also be used for sauces, spreads, for meat, etc. There are many different kinds of miso, and not all are interchangeable, so it is worthwhile figuring things out as red misos are more salty, white misos less so. 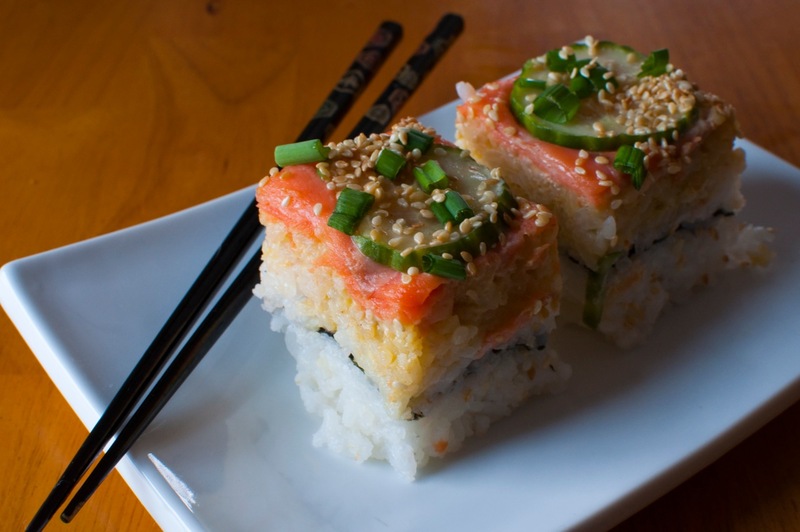 Maki at Just Hungry has a great primer on miso. I usually buy mine at T&T, but it is widely available and can be found in well-stocked grocery stores like Metro, Loblaws, etc. Basically, I look to see if it is white or red miso. I store it in the refrigerator. Shiitake mushrooms – Shiitake are Japan’s most famous mushroom, but also hails from China. Known for its meaty, woody aroma, they are widely used in Japanese cuisine. They can be bought fresh or dried. Look for mushrooms that are whole. Dried mushrooms can be kept indefinitively if stored in a cool, dark place. 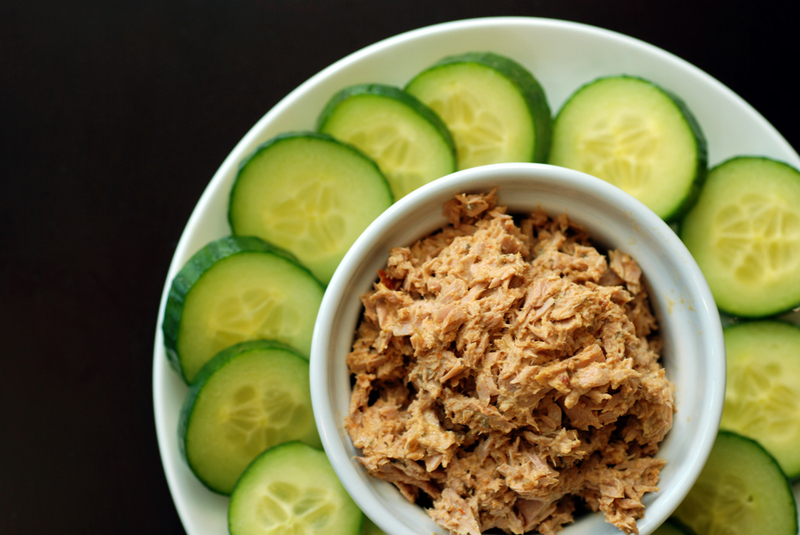 They need to be rehydrated for 20-30 minutes with water, before use. When looking for Asian mushrooms, there is no contest, you have to go to an Asian market. You can find them in the typical Sobeys, Loblaws, etc, but they are incredibly expensive. At T&T, BestWin and in Chinatown they are much more reasonably priced. I think at T&T I have seen fresh shiitake mushrooms for $2-3/lb. When looking for dried, I have found them in the same stores. They can be called shiitake, or flower mushrooms and winter mushrooms (from their Chinese names). 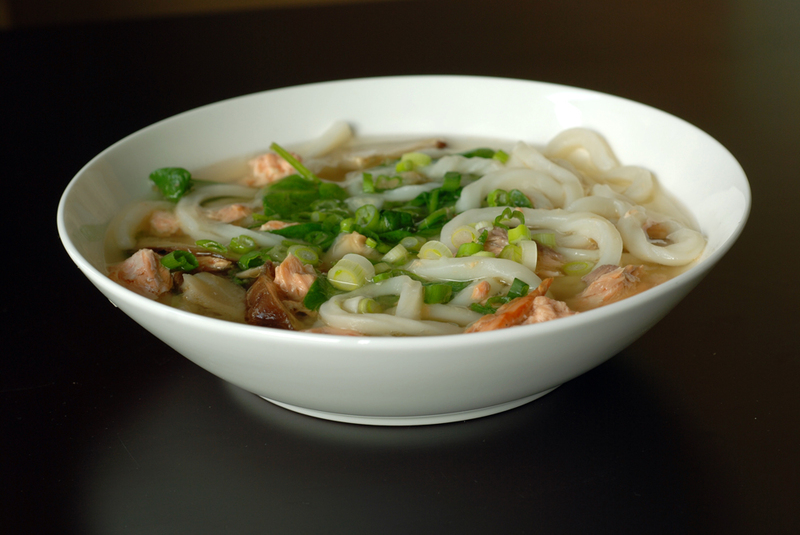 Udon – Udon are the thick, chewy Japanese noodles made from wheat flour. When I returned from Japan, I almost thought I was deprived of great udon when I tried the fresh stuff. I learned, though, that frozen is the way to go. 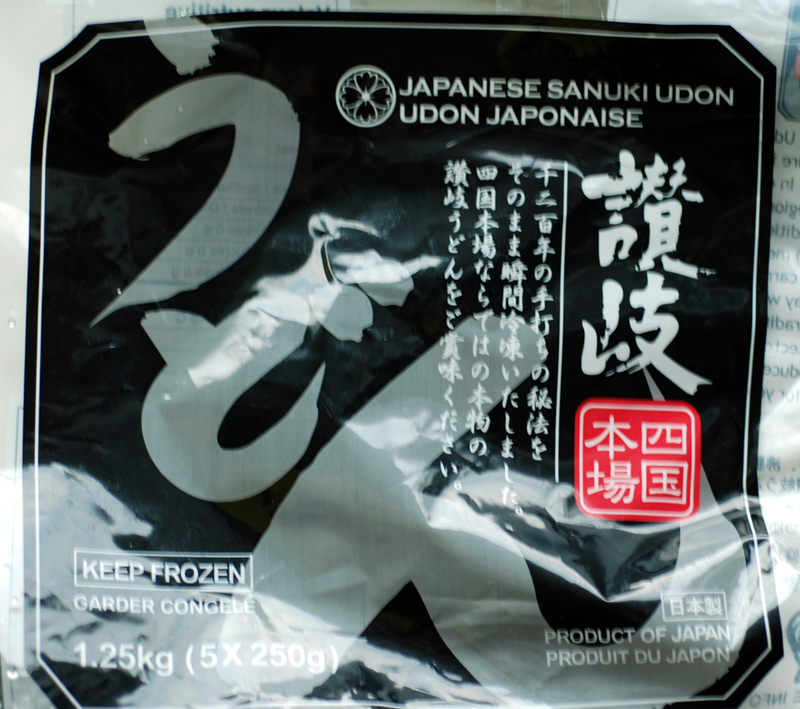 I have tried the black package of Sanuki udon from T&T and love it. I plan to make udon from scratch one day, but until then, this stuff is great. Sanuki udon means it comes from a specific prefecture in Japan (Kagawa) and are chewier, thicker noodles (my favourite!). When I go to a restaurant, I usually like to order stuff at restaurants that I can’t make at home.. because I know I can make it better. 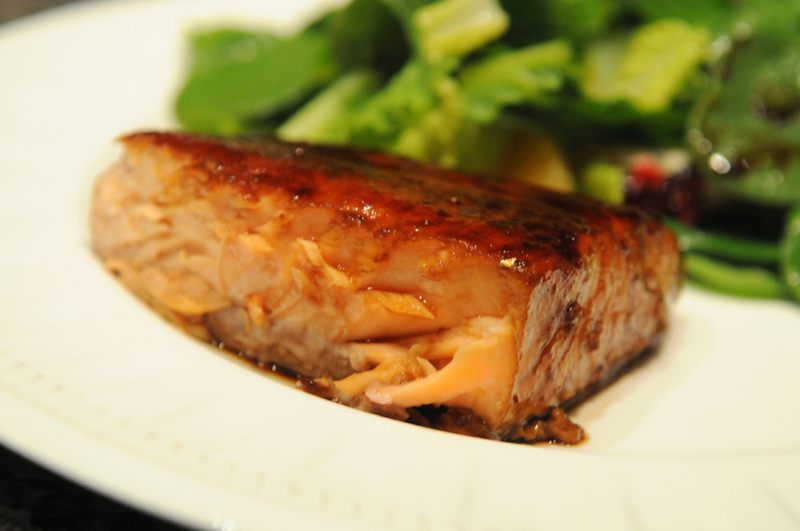 Salmon teriyaki is one of those dishes, especially when you go to the cheaper Japanese restos. 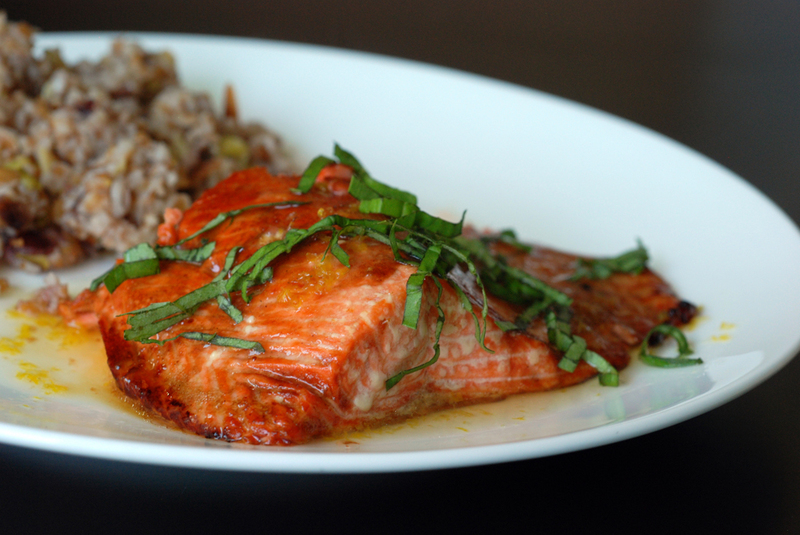 It can be anywhere from charred, blackened, dry and ooky sweet. But it is really easy to make at home, so now I don’t even bother with it when I go out. First of all, I combined recipes from numerous sources, including many of Kimiko Barber’s cookbooks (The Japanese Kitchen, Yo Sushi, Japanese Pure and Simple), where each had different ratios for her teriyaki sauce. I like this ratio of soy sauce, sake, mirin and sugar (3:3:3:1), although each portion can be changed depending on tastes. 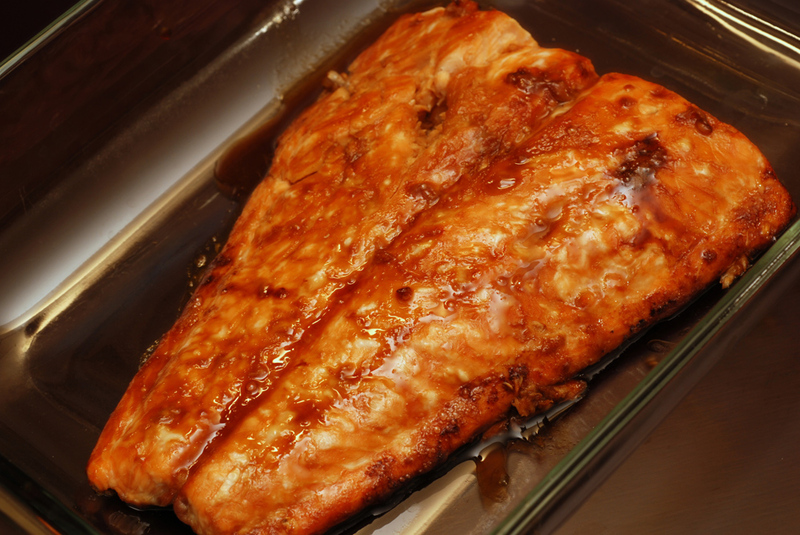 I found this recipe to create a light, flaky, tender salmon with a sweet glaze. 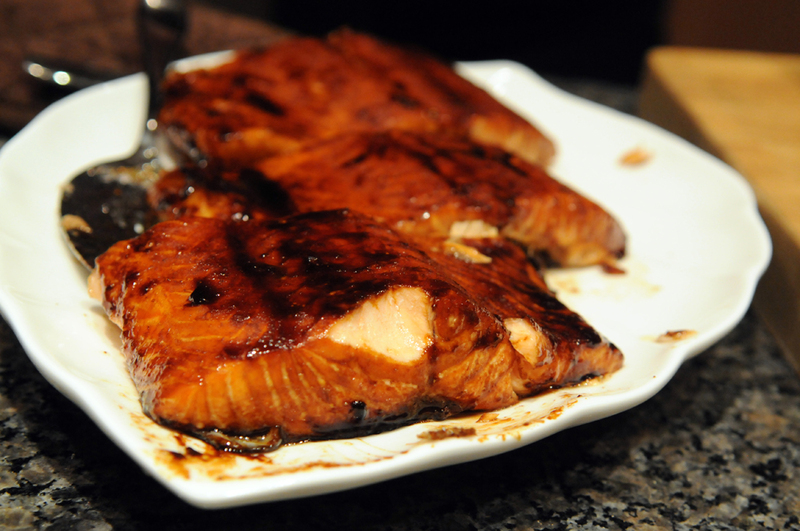 There is enough teriyaki sauce for more than the salmon (the recipe can be halved, as long as you keep the same ratios). 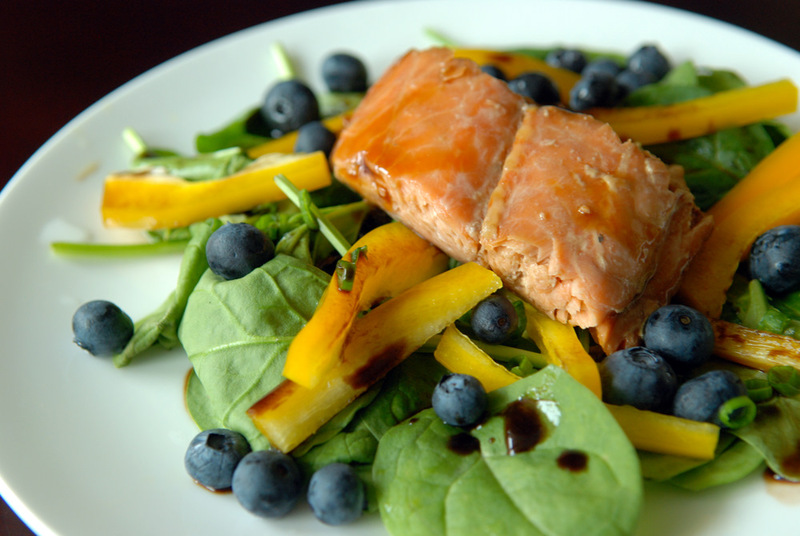 We drizzled it over spinach as a side salad and it was incredible. The sauce can keep for up to 2 months in the fridge. Soy sauce – I like Japanese soy sauce, which tends to run a bit sweeter, but also best for Japanese dishes. Furthermore, there are different kinds of Japanese soy sauce – regular dark, light, reduced-sodium and tamari. 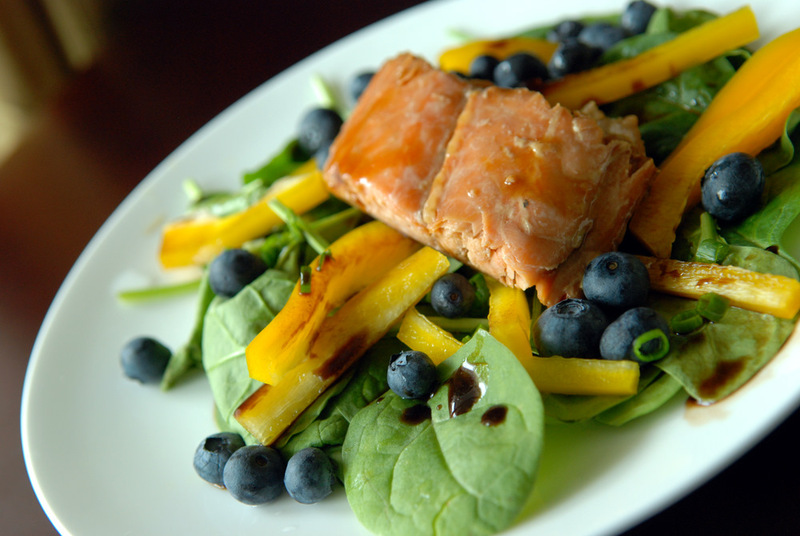 Light is only light in colour if you don’t want to discolor a dish. I typically buy regular dark or reduced-sodium and prefer Yamasa and Kikkoman, which aren’t that expensive. They can be found at any Asian market, including T&T, BestWin and J-Town. Shops in Chinatown should have it too. 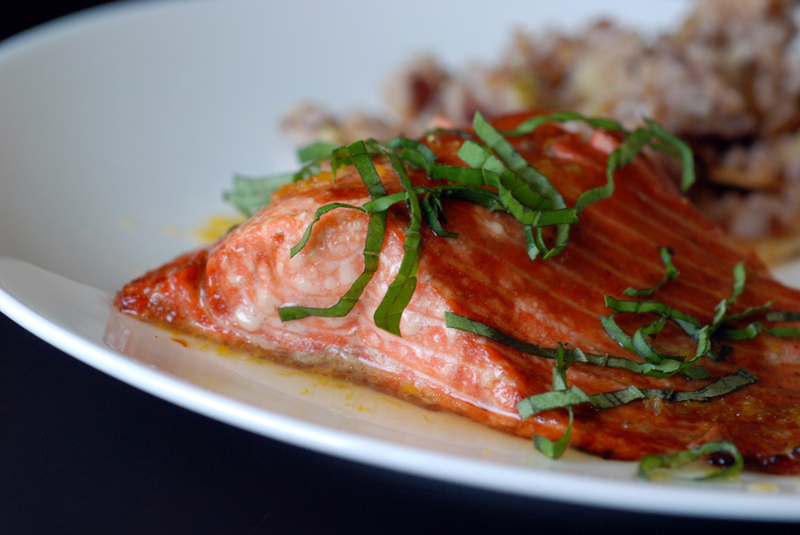 Mirin – Mirin is a sweet rice wine, used as a sweetener and to add a glossy shine to foods. 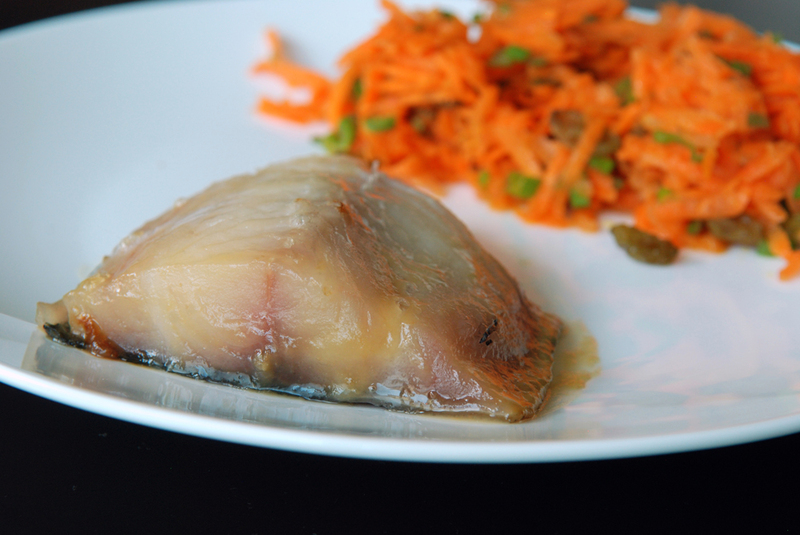 There are a few types of mirin, including aji-mirin (“mirin taste”) and mirin-fu chomiryo (“a kind of mirin”) as well as hon-mirin (“true mirin”). Hon-mirin has simpler ingredients; true hon-mirin has alcohol and no salt, and shio-mirin has alcohol with 1.5% salt. The difference is the alcoholic content. 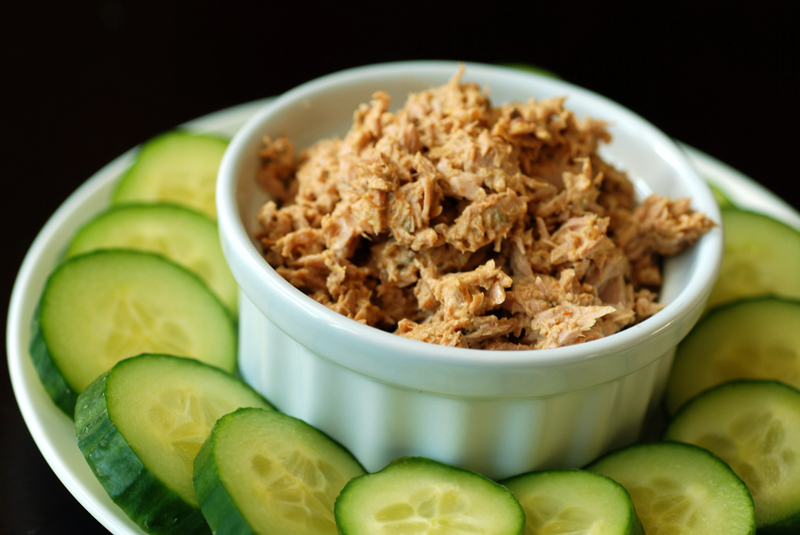 Shin-mirin (“new mirin”) has less than 1% alcohol, but still has the same flavour. Whereas the aji-mirin or mirin style sweet cooking seasoning has an ingredient list that starts with corn syrup and 8 other ingredients. I was only able to find aji-mirin at T&T and even J-Town, but found shin-mirin (basically look at the ingredient list- water, rice, koji (aspergillus oryzae) and sea salt) at Whole Foods and Noah’s. I think P.A.T. might also carry shin-mirin, and it looks like hon-mirin is impossible to find in Toronto. I’d love to know if anyone has found it elsewhere, and cheaper. I store my mirin in the refrigerator once opened. Sake – Sake is a Japanese rice wine. I mistakenly bought a cooking sake from T&T, but I think it was just a mislabeled chinese cooking wine. Now I go to the LCBO to get sake. There is a bigger bottle, cheaper on the per mL basis which is what I get (Gekkeikan, 750mL). I store it in the refrigerator and it lasts pretty long. 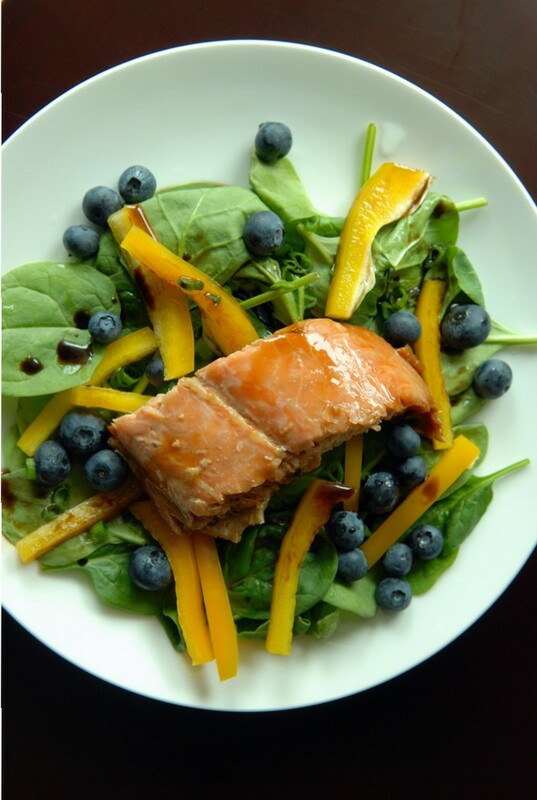 Salmon – There are different kinds of salmon, but from a sustainability point-of-view wild Pacific salmon is the best way to go as per SeaChoice. I don’t know what T&T carries, likely Atlantic farmed, as the price is always reasonable ($6-7/lb). 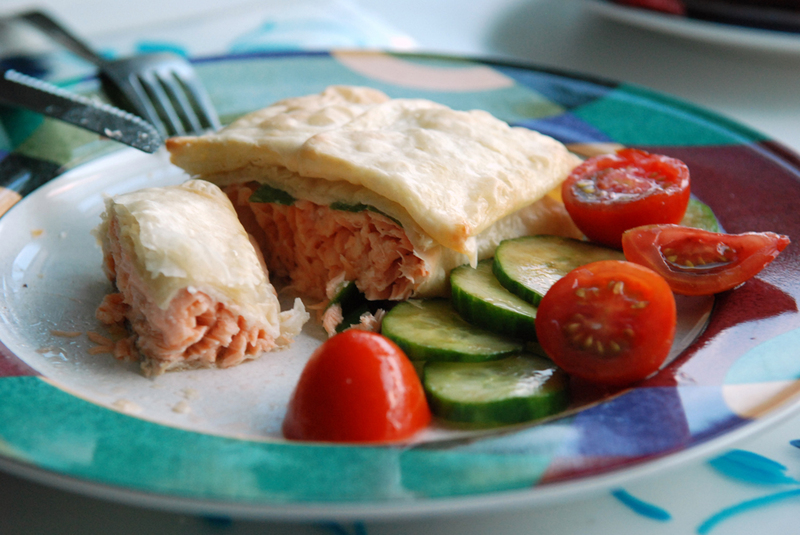 I had a few blunders in the kitchen last week, so much so that when I was hosting a dinner party at my apartment, I decided to forego new recipes and serve a tried-and-true quick and easy, tasty dish: Salmon Fillet Wrapped in Phyllo Pastry. Despite sounding incredibly French, I actually got the recipe from a wonderful Japanese cookbook, The Japanese Kitchen by Kimiko Barber. Barber explains that the phyllo dough is a substitute for yuba sheets, which can be hard to find in North America. 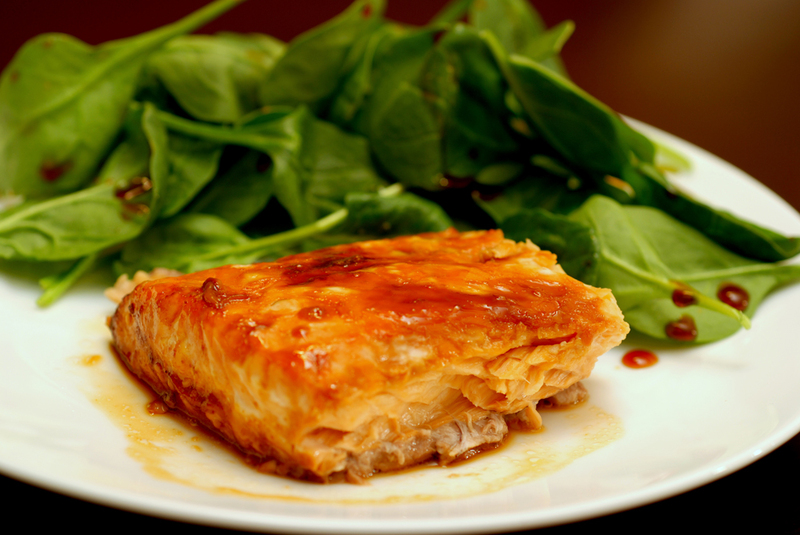 The trick for this kind of dish is to use thick pieces of salmon so that the fish cooks the same length of time it takes to bake the phyllo dough. 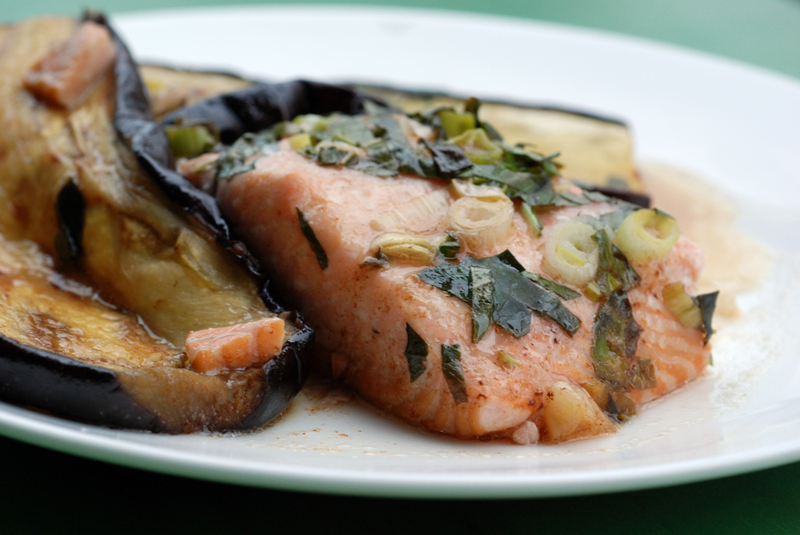 This salmon is incredibly tasty and great for a spiffy meal on a weekday as it bakes up quickly. 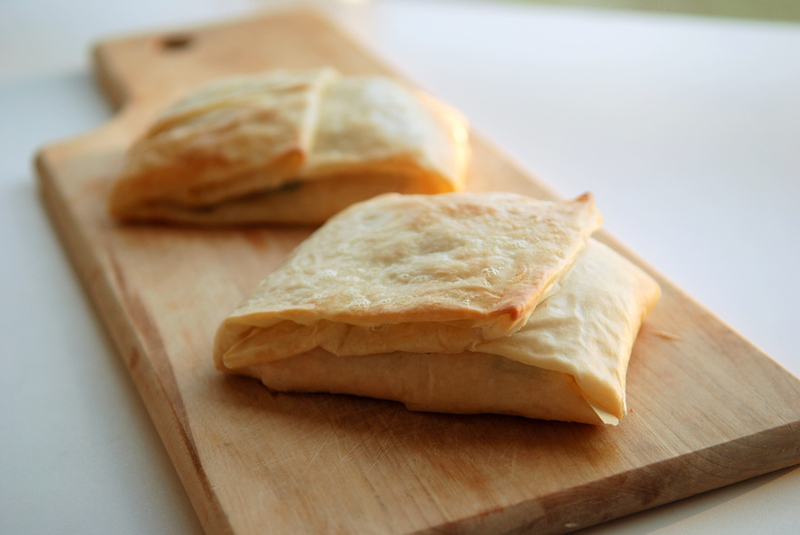 I figured working with phyllo could be pretty fool-proof, but as I learned, not when you forget to thaw it beforehand. We had the phyllo overtop the oven, hoping to thaw it faster, and still had to deal with holes as we were incredibly inpatient and ripped it apart. The holes can be easily hidden, though. We ended up eating dessert first (Cranberry Buckle with Vanilla Crumb), which stole the show, in my opinion.